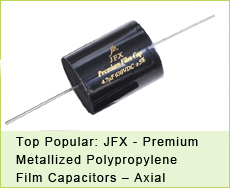 X2 film capacitors is very popular in the market. Many big brands offer very long lead time and high prices. 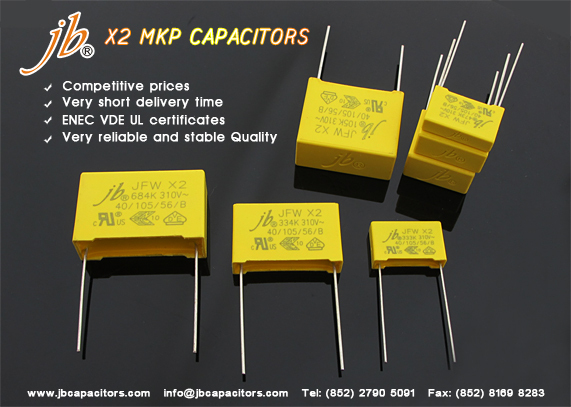 We can help you save more cost and offer you very short delivery time and competitive prices for X2 capacitors. We have ENEC VDE UL certificates. Quality is very reliable and stable. Welcome to send your X2 capacitors for cost down. Below are some cross guide for your reference. jb What is a Capacitor ? A capacitor is a small device that can be charged up with electrical energy, store it and then release it. Just like a rechargeable battery. But unlike a battery, it does not use a chemical reaction and it can only hold a very small charge. A very large capacitor can only light up an LED for a few seconds. They come in many shapes and sizes and a few are shown below. The bigger the capacitor, the more charge it will hold. Capacitor is made from two metal plates or metal foils separated by an insulator called a Dielectric material. The Dielectric materials can be made from Ceramic, Mica, Polypropylene, Polyester, Electrolytic, Tantalum and even air. 3.The type of dilectric material used. 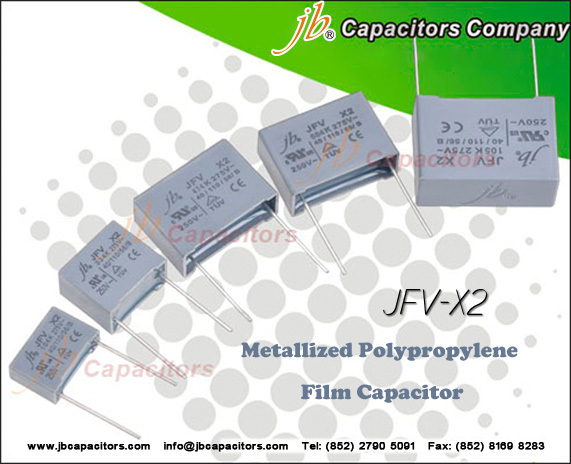 jb capacitors company are professional in all kinds of capacitors ,such as Plastic Film Capacitors ,Aluminum Electrolytic Capacitors,SMD Aluminum Electrolytic Capacitors ,Metallized Polyester Capacitors, Metallized Polypropylene Capacitors, SMD E Cap and etc.Any questions ,please don't hestate to contact us. 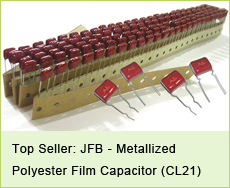 jb capacitors company, just your best choice!